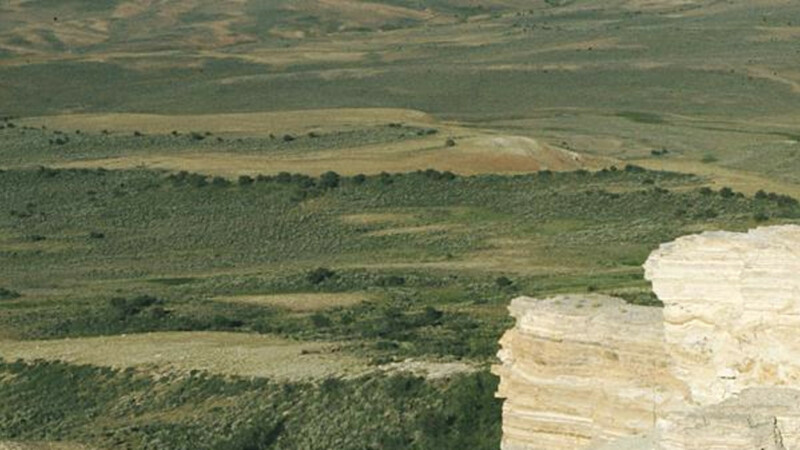 Wyoming’s newest national monument, Fossil Butte, was established on October 23, 1972. It is administered and protected by the National Park Service. The monument contains 8,198 acres and protects a portion of the largest deposit of freshwater fish fossils in the world. The richest fossil fish deposits are found in multiple limestone layers, which lie some 100 feet below the top of the butte. The fossils represent several varieties of perch, as well as other freshwater genera and herring similar to those in modern oceans. A large, deep-bodied fish with many curious plates is common. Other fish such as paddlefish, garpike and stingray are also present. 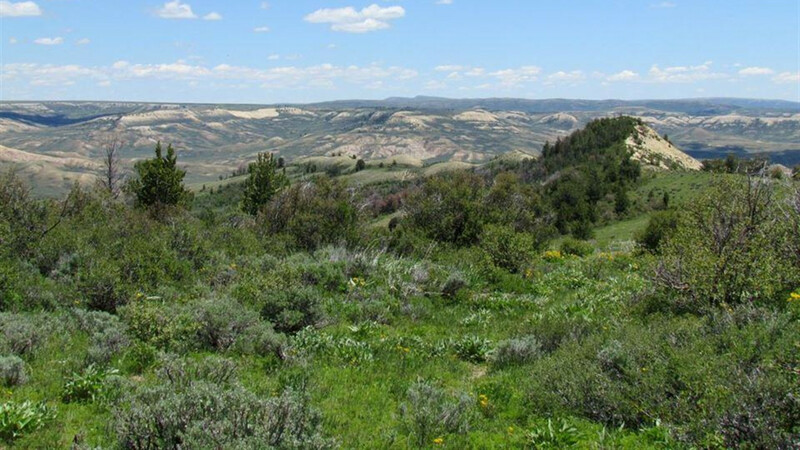 Situated about 10 miles west of Kemmerer, Fossil Butte is a ruggedly impressive topographic feature that rises sharply some 1,000 feet above Twin Creek Valley to an elevation of more than 7,500 feet above sea level. The butte is located just north of US 30N and the Union Pacific Railroad, which traverse the valley. At the base of Fossil Butte are the bright red, purple, yellow and gray beds of the Wasatch Formation. Eroded portions of these horizontal beds slope gradually upward from the valley floor and steepen abruptly. Overlying them and extending to the top of the butte are the much steeper buff-to-white beds of the Green River Formation, which are about 300 feet thick. 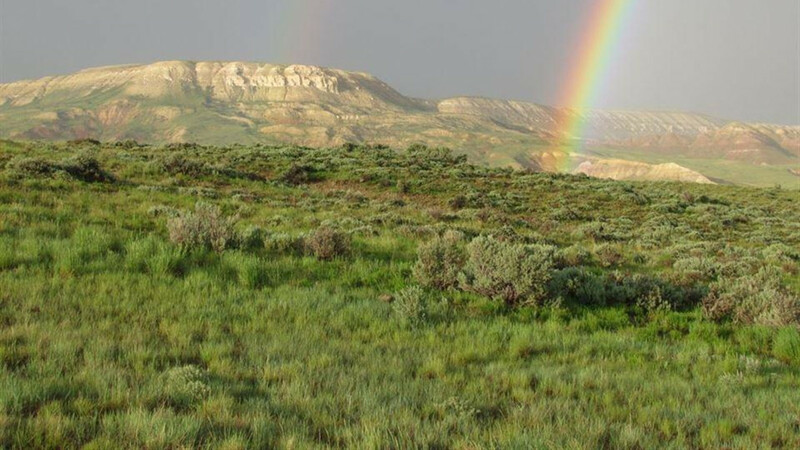 Visitors can explore the area on two hiking trails or learn more about Fossil Butte at the Visitors Center, where more than 300 fossils are on display, including a 13-foot crocodile, the oldest articulated bat and a mass mortality of 356 fish. During the summer, on Friday or Saturday between 11 a.m. and 4 p.m., hike to the fossil research quarry for an introduction of the geology and paleontology of Fossil Basin (weather permitting). 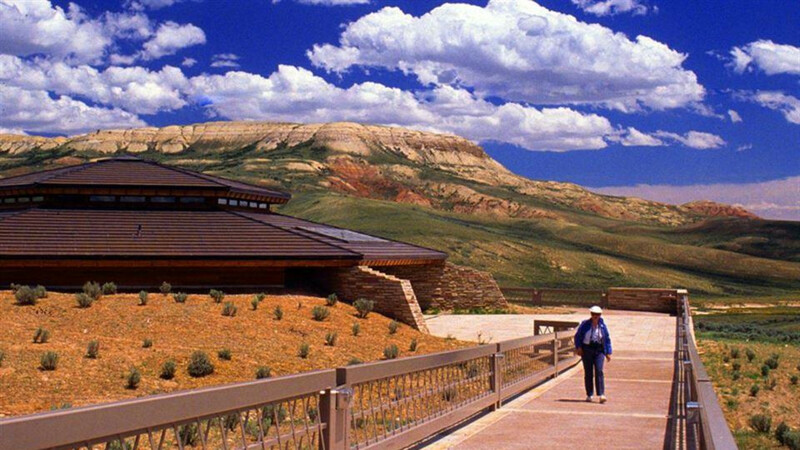 The visitor center is open seven days a week from 9 a.m. to 5:30 p.m., May 1 through September 30. 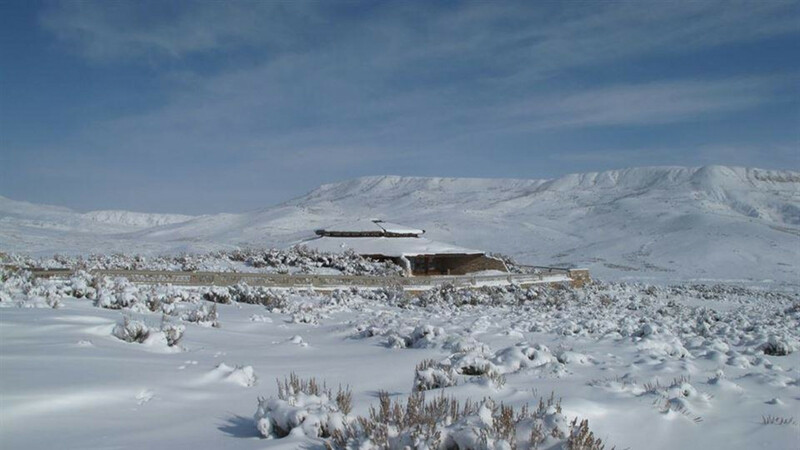 October through April 30, the visitor center is open 8 a.m. to 4:30 p.m., seven days a week, but closed winter holidays. Monument grounds are open sunrise to sunset. The entrance road gate is closed only during severe winter storms. The upper road accessing the picnic area, Chicken Creek Nature Trail, and scenic drive closes November 1 until the snow melts, usually by late May. From Interstate 80, take US Highway 189 or 30 north for 45 miles to get to Kemmerer. The monument is nine miles west of Kemmerer on U.S. Highway 30. Follow the signs to the visitor center.